Two of the basic human needs after a disaster of any type is survival food and water, so for emergency preparedness you must make certain you have stored enough for you and your family. You will need sufficient water above all, because although humans can survive without food for days, this is not the case where it concerns water, with each person needing the minimum of half a gallon of water to drink per day. After a disaster, and depending the nature of the type of disaster that caused destruction and suffering; in the aftermath you don’t know how long you will need to survive on your own, so it is wise to ration out the survival food and water supplies carefully to extend the length of time you will have to survive on your own. After major earthquakes, tsunamis, and hurricanes, which can damage municipal services… water supplies may be scare for a few days at a time. Your survival food and water supplies should thus be managed carefully, making an extra effort to conserve the water you have. If there was a war or a major pandemic disease outbreak, then the normal food water and supply chains deliveries services may be interrupted and unavailable indefinitely. It can be a a few days or even a few weeks before drinkable water is available, because disasters may also contaminate municipal water supplies too. Storing Your Survival Food and Water. When you make proper emergency preparedness plans then it is wise strong survival food and water at two or more alternative locations so that if one location is compromised then you have a backup plan. If you need to evacuate then take your water canisters and survival food with your bug out bags that should have water purification tablets or filtering accessories as part of your survival gear. Most people need an average of at least a half gallon of water per day for drinking purposes but this can be rationed out for adults. You may also need water for cooking and last in the line for sanitation purposes. Contaminated water is still fine for ablution facilities if there are any but only clean water must be used for drinking and wound cleaning. Survival food and water will go as far as you manage it but for children, the injured and old people you may need to ration out more water. 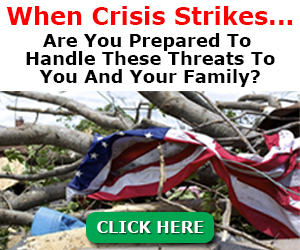 If you are able to stay at home after a hurricane or flood and you have made provisions in a survival bunker or cellar then you will be able to survive for longer. You may still be able to find clean drinking water in your water heater and the residue left in the water pipes, and in clean toilet cisterns. Your survival bunker should have sufficient survival food and water supplies if you have made thorough emergency plans, so all you need to do now is manage it. Your water is your number one priority so ration it out carefully. 1.Keep survival food and water in cool dark places in your survival bunker and whatever other locations you have chosen to reach in event of evacuations. Note the expiry dates on bottled water and foods and replenish it often with new long term storage survival food and water. 2. Use food grade clean containers for bulk water storage and invest in compact MRE foods that can be found at survival suppliers. 3. Make sure that each survival bug out bags has water purification tablets and water filters, and if you like even a liter of bleach is a great item that can be used to decontaminate water. 5. Label survival food and water and keep a list detailing the expiry dates and quantities so that you have a record which can be referred to for replenishment and for usage when you have to survive after a disaster. 6.Make sure that everyone in the family has a bug out evacuation bag and add additional tactical bags for medical supplies, self defense and accessories and all the items you will need to survive. These must be easily accessible to flee after a disaster if it is required to evacuate when you need to, and each able member of the family can grab their bug out bags and a water container to evacuate y to your safe locations.